Description: Hurry and sign up!...it’s almost time for the 2018 Winter Olympics. Canada Air will charter 225 athletes and 87 coaches from across Canada to the Pyeongchang Olympics, its largest-ever delegation for a Winter Games. 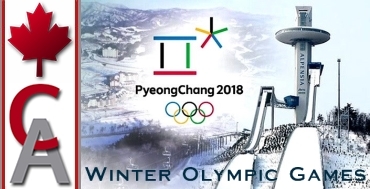 This year the Winter Olympics will take place from February 9-25, 2018 in PyeongChang, South Korea. Most snow sports events will be held in PyeongChang, with some events being held in the nearby cities of Jeongseon and Gangneung.